No too long ago I was an angry Christian. Long before that I was an angry Conservative – because I was raised by an angry Conservative. It could just as easily have been the other way around, there are plenty of angry Liberals out there. No one seems to have a monopoly on this emotion and it’s usually accompanied by indignation and self-righteousness with a liberal dose of superiority. Being on the correct side of the issues allowed me to feel anger towards all those who not only did not understand but who, in my mind, were deliberately trying to sabotage the world. Of course this is in hindsight. At the time I didn’t realize how angry I was. I was just so definitely right about everything. I’ve always been impressed with Dallas Willard’s take on Jesus’ Sermon on the Mount. In the “Divine Conspiracy” Willard says that most of Jesus’ message here boils down to this: there is no room for anger in the Kingdom of God. You’d think that this was pretty obvious. But many times I’ve been surprised to hear peace-loving Christians object to the idea. After all, they say, there is such a thing as righteous anger. Was there ever an example of an angry person who didn’t feel righteous ? I don’t know about you, but when I’m angry it’s not because I think I’m wrong but because I’ve been wronged. I’m usually the only one who has gotten things right. When the smoke has cleared, that’s usually not the case. But what about Jesus’ anger in the Temple? Tossing over the tables and swinging the knotted rope? Well, if you think that Jesus was genuinely angered by the mercantile scene in the Temple then you aren’t giving him much credit. He surely knew what to expect when he got there and he knew what his actions would provoke. It wasn’t an angry outburst – it was a calculated ploy. Yet this one episode has become the proof we use to justify our own ‘righteous’ anger. “If the cause is a good one, well, then it’s OK to lose one’s temper” (the ends justify the means). Even moderate Christians continue to slip on this banana peel. Christian fundamentalist have a theology that embraces the idea of an angry Yahweh, who demands violent justice, partnered with an angry End Times Jesus who is going to punish all those who “have it coming”. Although we have Jesus’ teachings on peace, love, mercy and self-sacrifice he left us a loop-hole that we just love to jump through, over and over. Hence our outrage over sexual promiscuity, welfare mothers, gays and lesbians, the removal of school prayers, false prophets and the rise of Islam. (Of course Muslim fundamentalists are just as angry, as are the recent crop of fundamentalist atheists.) There is something about ‘fundamentalism’ – this idea that there are only certain ‘absolute’ truths and anyone who can’t see them is terribly flawed – that lends itself to anger. 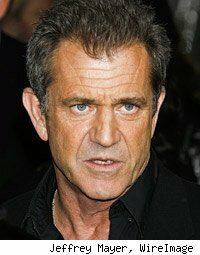 The most prominent religious fundamentalist in the news today is not a Muslim or Bible Belt Evangelical but a reactionary Roman Catholic: Mel Gibson. And, as is usually the case with religious fundamentalists, it is anger that has thrust him into this part of the public spotlight. When Gibson released “The Passion of the Christ” I was nearly ecstatic. Like most neo-Evangelicals, I loved the movie, it struck me deeply (and it still does, but that’s another story). I excitedly anticipated the millions it would convert to Christianity (they never did). I was excited that an expressly counter-secular- culture film could be so successful at the box offices ( and that, artistically, would be miles above the cinematic dreck that preceded it). And I was proud of Gibson, who bucked the system and testified to the world how he was saved by Jesus Christ. But I wonder if his Christ (and mine, at the time) was really able to save anyone. Over the next six years Gibson has displayed a pattern of angry self-destruction. I doubt if he really hates as much as many people think he does. I really doubt that he believes all the terrible things that he has said. After sobering up, I’m sure he regretted them. But there is no doubt that he is angry, probably just as angry (if not more so) than he was before his religious conversion. I don’t know what Mel is angry about, but why does it seem as if his faith has not helped him here? What happened when he became ‘born again’? Did Gibson really change? For that matter, has anyone who ‘turned his or her life over’ to an angry God really changed? Or could it be that, comfortable in the hands of a God who is angry at all the same things we are, we have no reason to change? Because it is anger, along with fear, that allows little room for the transformative power of love in our lives. Anger management – righteous anger – allows us to live with this monkey on our back rather than finding a way to toss it off. And for Christians that is the Way of Jesus. History has brought us to the point where the Christian message is thought to be essentially concerned only with how to deal with sin: with wrongdoing or wrong-being and its effects . . . The current gospel then becomes a ‘gospel of sin management.’ Transformation of life and character is no part of the redemptive message. Anger indulged, instead of simply waived off, always has in it an element of self-righteousness and vanity. Find a person who has embraced anger, and you find a person with a wounded ego. This entry was posted on July 23, 2010, 4:27 pm and is filed under Christianity, Current Events, Faith, Fundamentalism, God, Gospel, Jesus, Religion. You can follow any responses to this entry through RSS 2.0. You can leave a response, or trackback from your own site. This is simply a great post. You have raised some imiportant issues, and given some rather plausible answers to issues I’ve had. You are going to be reposted on my blog! lol…thanks so much for this.